I always find the transitional period between seasons to be so reenergizing. 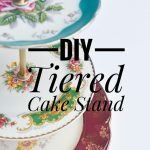 You might be changing your wardrobe, updating your house, working on your garden…I feel like I’ve fully shed the heaviness of winter and I’m embracing the airiness and joy of spring! 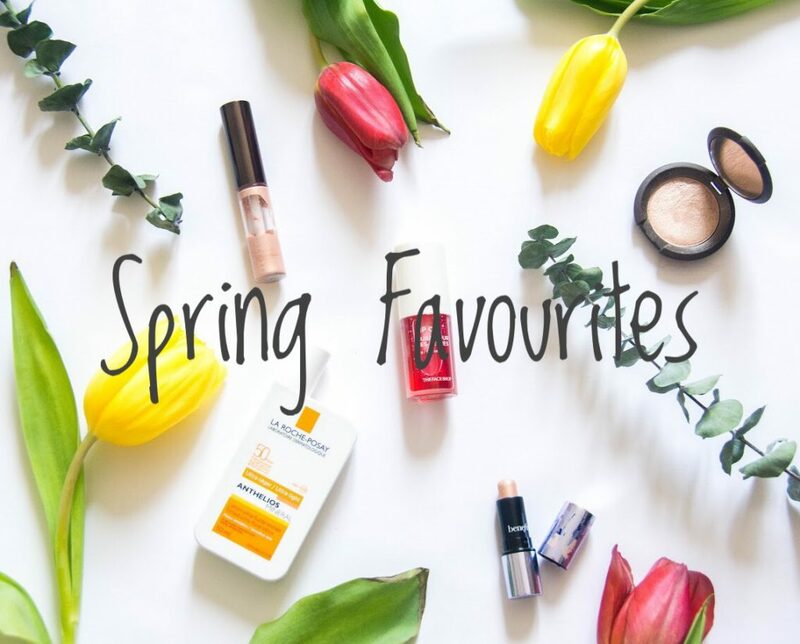 It’s inspired me to discover some new products and re-discover some old favourites. I’ve been thinking about my skin a lot lately (maybe ’cause I’m getting older or something, I don’t know) and I’ve been feeling that I deserve better than my old go-to favourite sunscreen. No shade to Neutrogena Dry-Touch…you’ve been my go-to for years and you’ve served me well, but I feel like you’ve been giving me really congested skin and tiny bumps for the past couple of years, which I just lived with ’cause you made my face the least oily of all the cheaper sunscreens. But I looked into it and turns out, mineral sunscreens could potentially be better for sensitive skins like mine. So I picked up the La Roche-Posay Anthelios Mineral Tinted Ultra-Fluid Lotion and I gotta say, my skin seems to be liking it better. Granted, it took a few years of using the Neutrogena Dry-Touch for my skin to decide it actually didn’t like it that much. I’ve only been trying the La Roche-Posay for about a month and sparingly at that (it’s twice as expensive, so I don’t really wear it as often…) so my opinion might change in the future, but so far so good! My skin feels less congested than with the Neutrogena Dry-Touch and it doesn’t make me any more oily than I normally get. In case you’re wondering, I have dehydrated combo skin. One thing to note is it smells really weird. I hate the smell. But thankfully, it disappears pretty fast and I don’t notice it on my skin while I’m wearing it. Also, the tint in the sunscreen blends into nothing on my skin and offers zero coverage. But at least it doesn’t turn you orange or white! I have been super into lip oils for the past few months and have been on the hunt for one that can give me that super wet glass lip effect with a sheer hit of colour. My current favourite is The Face Shop’s Lip Oil in Red Cherry. It’s very thick and gel-like which I enjoy and it gives me some serious shine. I hate the applicator though. It’s a really stiff, jumbo, curved doe foot. I get that they are trying to make it so you can scoop the product out easily, but it’s so awkward to apply it to your top lip. The colour and moisture takes a while to fade completely (even after you eat), but the shine does dull down and I find myself reapplying every couple of hours or so. If you’re just looking for a lip moisturizer, in my opinion, this would more than do the trick. But if you want that super juicy glass lip look like I am, be warned that you’ll have to reapply regularly! But I don’t mind that at all and it’s very reasonably priced at $10! Yes, another spring favourite of mine is highlighters. Just highlighters in general. Anything and everything that gives you a super glow. Even on days when I’m only wearing concealer, blush and doing my brows, I will add a touch of highlighter because why not? It’s just so pretty! My highlighter collection isn’t actually very big (I only have one full-sized highlighter and then three deluxe sample sizes), and lately, I’ve been rotating the three above. I love the look of cream/liquid highlighters, but I start getting little bumps on my cheeks if I wear them every day. You may be able to tell that I tend to gravitate towards the warmer, champagne-y shades, but I’m looking to branch out into other undertones. I had suddenly gotten a hankering for some backyard visitors of the feathered variety some time in February and immediately ordered this bird feeder off Amazon. I had two criteria: it had to be squirrel-proof and it had to attract cardinals. I still remember the one little crimson fella who visited our backyard during the first winter after we moved into our house. He was majestic. It took over a month for me to figure out exactly how to attract the birdies to our backyard. In the past, they would flock to our barren bushes, but since we re-landscaped last spring, there’s not much going on back there besides a deep blanket of snow. At first, I tried hanging it up against the fence, which didn’t attract them at all, and after a while, the one wiley squirrel who keeps lurking around our backyard (and burying chocolate bars in my garden and digging up our lawn) figured out how to hang himself from his feet off the fence to reach down to the food. I mean, I wasn’t even mad…that’s straight-up impressive. Needless to say, I moved locations to underneath our gazebo in the back. I figured not only will the squirrel be unable to reach the feeder, but it might provide some attractive shelter-like cover for the birds, in case that’s the reason they weren’t super comfortable approaching the feeder before. I don’t know if that was the problem, but they started to flock to it (pun intended) and I am not ashamed to say I spent many tens of minutes standing in the dining room staring at them with my opera glasses. So what have you guys been loving or looking forward to in spring? Do you have any sunscreen, highlighter or lip oil recommendations? Please let me know!